Discussion in 'General Airgun Chat' started by Baltipal, Oct 27, 2009. 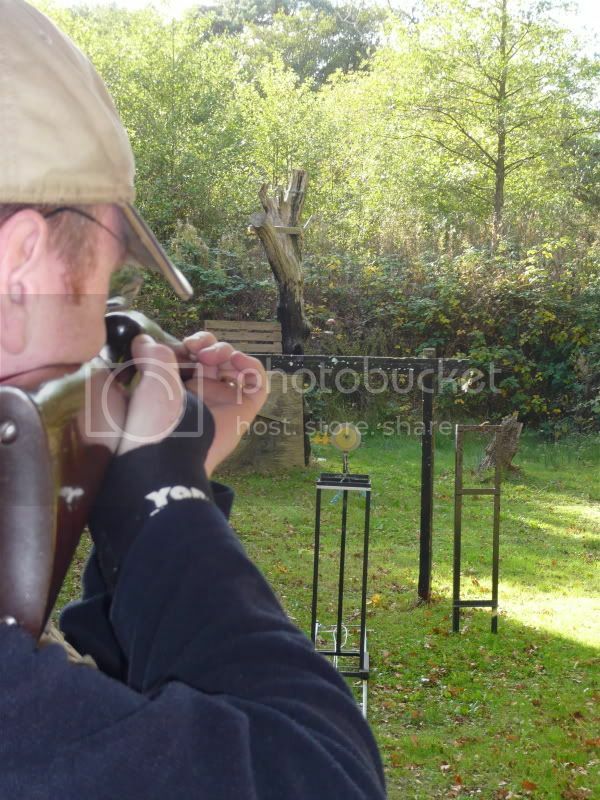 I met these blokes down at Bisley on Sunday & spent an enjoyable & addictive 20 minutes or so having a go with these 100 year-old BSA's at Bell Targets, couldn't make it ring myself, that says it all about my standing technique! so where is the air resevoir, 4x24x55 scope and built in laser range finder hidden on that rifle then ?? 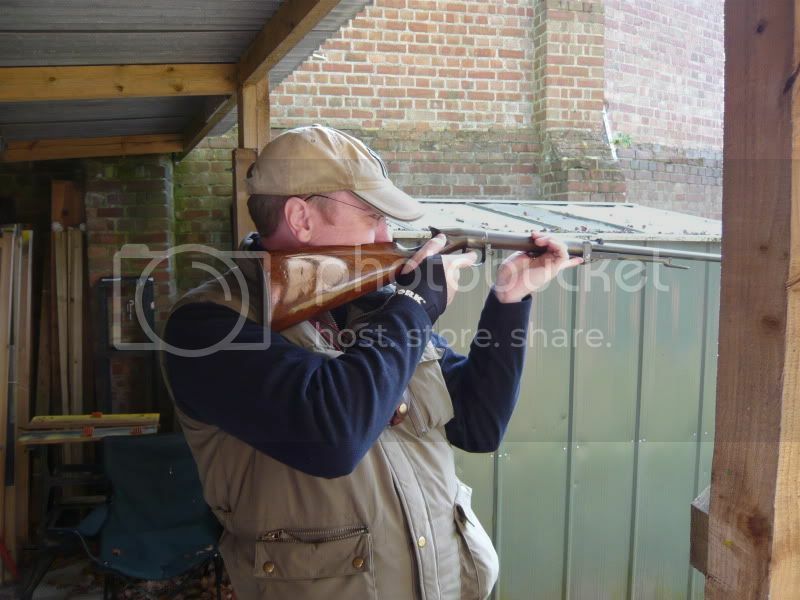 i believe its 6mm but of course i may be mistaken(not wrong im never wrong) set out either at 10yrds or 6yrds its wednesday evening fun for all ages but the guns have definately got to be older than your grandad. its a good job we kept you busy shooting then greg otherwise i think you would of been up at the arms fair getting yourself one. So the commission on saving you money is a tenner.